Saudi Arabia plans to reduce its crude oil production further, to 9.8 million bpd in March, Energy Minister Khalid al-Falih said in an interview for the Financial Times. This compares with more than 11 million bpd produced in November. Exports, Al-Falih said, will also fall substantially over this month and next, to an average of 6.9 million bpd from 8.2 million bpd in November. This does not bode well for Washington’s hopes that the Kingdom would step in and fill the gap left by Venezuelan heavy crude after the U.S. imposed a new round of sanctions against the government in Caracas. The news also confirms once again that Saudi Arabia is determined to push pries up significantly higher than the news of yet another round of OPEC+-wide production cuts did in December. Over the longer term, however, Saudi Arabia plans to expand its international presence in oil and gas, the oil minister also said. “We are no longer going to be inward-looking and focused only on monetising the kingdom’s resources. 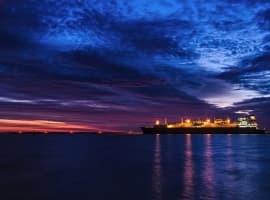 Going forward the world is going to be Saudi Aramco’s playground,” Al-Falih told the FT’s Anjli Raval and David Sheppard. He added the international expansion of Aramco will begin with inroads into natural gas. 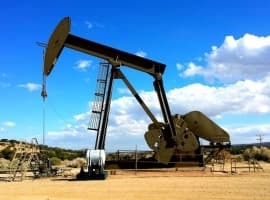 Related: Which Oil Giant Generates The Most Cash? The expansion drive is boosting Aramco’s international standing in relation to other large oil and gas companies. These are increasingly turning to gas, and while Aramco has plans to boost domestic gas production, an international expansion would also make sense in improving the company’s competitiveness. But there is another reason behind the expansion drive, and this has to do with the potential listing of the Saudi oil giant. “If I have investors from New York or London or Tokyo that are investing in Saudi Aramco they want Saudi Aramco to be competing with the world’s best international oil companies,” the minister told the FT. Al-Falih also reiterated plans to list Aramco in the not too distant future in spite of insider reports that suggest the IPO of the world’s largest oil company in terms of reserves had been put off indefinitely. I have always said that Saudi oil minister Khalid Al-falih is a great reader of the global oil market. By saying that Saudi Arabia plans to reduce its crude oil production further to 9.8 million barrels a day (mbd), he is giving three important signals to the global oil market and also the United States. The first signal is that Saudi Arabia is determined to achieve an oil price higher than $80 a barrel in order to balance its budget. Since the 2014 oil price crash, Saudi financial reserves have declined from an estimated $750 bn to less than $500 bn which are now badly needed to prevent a devaluation of the Saudi Rial against the US dollar and also to support the record 2019 budget of $295 bn. Any significant decline in oil prices could widen the Saudi budget deficit, affect Saudi Arabia’s fiscal position and reduce the rate of growth of the Saudi economy. The second signal which is aimed at both the US Congress and the Trump administration conveys an implied threat that If the “No Oil Producing and Exporting Cartels” or NOPEC Act ever becomes a law and the United States tries to sue Saudi Arabia or OPEC for an alleged oil price manipulation, Saudi-led OPEC has enough muscle to retaliate against the US. It Saudi-led could retaliate by withdrawing every single penny it keeps in the United States and stop investing in the US altogether. It could also stop all its oil exports to the US and even cut its oil production to force prices up. This will harm the US economy most being the world’s largest consumer of oil. OPEC members could also nationalize American interests in their oil industries and discard the petrodollar and adopt the petro-yuan instead. That would be the heaviest blow against the US financial system. The third signal which is also aimed at the Trump administration conveys the message that should Venezuela’s oil production collapse under the weight of US sanctions, the Trump administration can’t bank this time on Saudi Arabia making up for any shortfall. 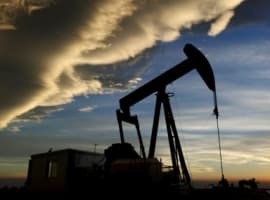 Saudi Arabia made a serious mistake in June last year when it decided under intense pressure from President Trump to jointly add with Russia 650,000 b/d to an already existing glut in the market causing oil prices to slump by 43% and inflicting losses on its economy and the economies of OPEC members. Saudi Arabia may decide this time to shun any request from President Trump to raise production in anticipation of something that may or may not happen. It's a tall order, but I have the sense that it's a good time for the U.S. to do opposite of what our President dictates: more emphasis and reliance on oil and gas. To me, it looks like a good time to go electric with transportation, and provide electric power as cleanly as possible. World oil production and consumption is not a pretty place. I do not see a good prospect for improvement in the fossil fuel arena. Fossil fuels do not bring out the best in the raw extraction and production, end-burning and in the major state purveyors. Clean energy has a prospect of improving on what fossil fuels offer because it is clean, locally produced, not easily commandeered by others, and has time and technology on its side. We need to go for it.